Happy Monday, friends! Just like that, it’s the start of another week. How was your weekend? I hope your week is off to a great start! I don’t have much on my agenda today other than worktime… hoping to plough through some tasks and make headway on a couple projects, because later this week is packed with fun things: friend date with Allyson on Thursday, going to my cousin Arianna’s play on Friday, and attending an event in San Francisco on Saturday night with Allyn as part of his MBA program. Woot! 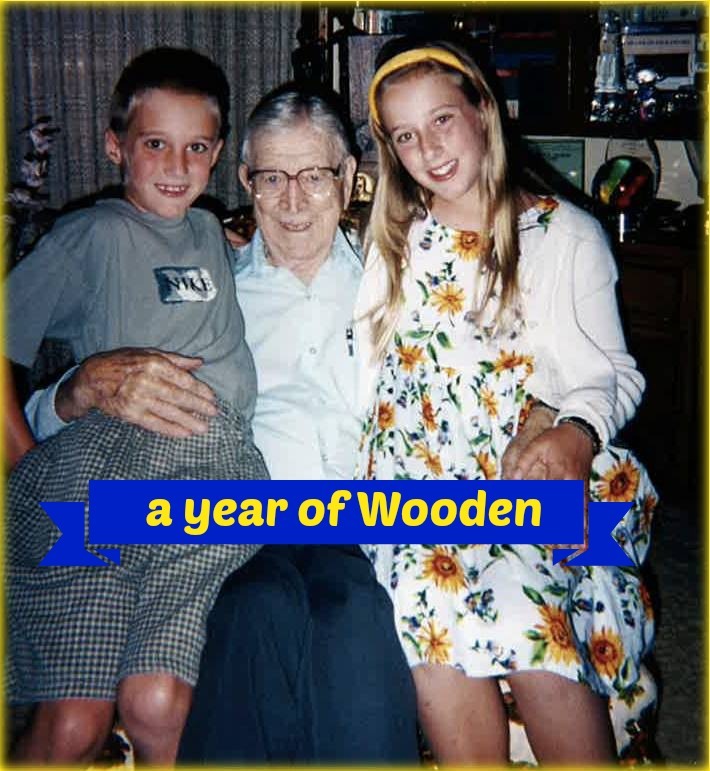 Now it’s time for this week’s year of Wooden challenge! Last week’s challenge was to pray for guidance about an issue in your life that causes you worry or stress. Lately I have been feeling stressed out over little things — running late; not feeling like I have enough time in the day; always rushing. I don’t like the feeling, but I wasn’t quite sure how to make it better. For the past few weeks, it’s felt like no matter how much I tried to de-stress and savor daily life, the more stressed I would become about NOT being able to do so! I was trapped in a downspiral of stress. However, after two or three days of praying and journaling, I felt a LOT more at peace. My go-go-go, hurry-hurry-hurry feeling began to subside. Even on Saturday, which is my most stressful, harried day of the week, I felt more centered, balanced and calm. This week’s challenge is to think of something in your life that you have questions or uncertainty about. Each night this week, pray on this issue. Ask God or the universe or whatever you believe for guidance. When you wake up in the morning, journal about your feelings.